CompetitorsPictures in this Category are divided into separate Albums for each car number. Use the Search menu option and search on Keyword to look for a particular car number, car model or crew surname. Cuttings and DocumentsNewspaper cuttings, magazine articles, organisers documents and any other printed bits and pieces. Large documents can usually clicked to open them in a new window for easier reading. Film and VideoThis Category contains any London-Sydney film or video clips that we get or hands on. We are working on a copy of 'Imagine Seeing The Cars Going Past' and hope to publish it here soon. 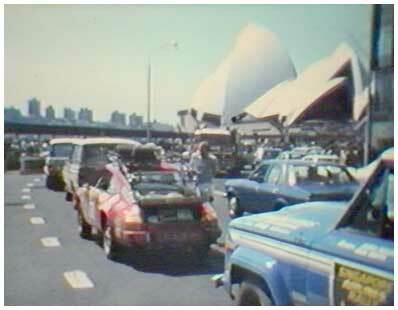 Do you have any 1977 London-Sydney film?